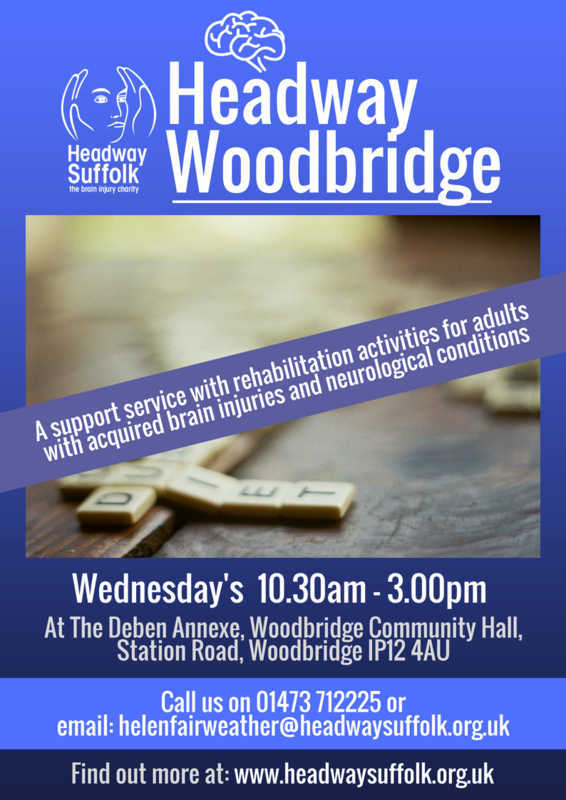 Headway Suffolk operates a satellite hub service at the The Deben Annexe, Woodbridge Community Hall in Station Road, Woodbridge. The hub is open on Wednesday’s from 10.30am – 3.00pm. For more information, contact Helen Fairweather on 01473 712225 or email: helenfairweather@headwaysuffolk.org.uk.